JEE Main 2019 - NTA has reopened the correction facility for modification of category in JEE Main 2019 application form. Correction facility is opened for both January and April session candidates to make changes in the category column. Candidates can make corrections till April 17 (5:00 pm). National Testing Agency has released the official answer key of JEE Main 2019 on April 14, 2019. NTA has also released the student's response sheets and question paper. Students can challenge the answer key last by April 16 up to 11:50 PM. Students can download and challenge the answer key by logging in to their account using application number and password/ date of birth. NTA conducted JEE Main April 2019 on April 7, 8, 9, 10 & 12. Many leading coaching centres have also released the answer key. The authorities will release the result of JEE Main 2019 April session on April 30 (Paper 1) and May 15 (Paper 2). The rank list will also be announced after the April session concludes. Registrations for JEE Main 2019 for April session closed on March 7. Candidates who had appeared for January session could apply for JEE Main 2019 April by using their JEE Main January credentials. Read the complete article to know all about JEE Main 2019. Candidates will be able to access JEE Main result on April 30, 2019. However, it is also expected to be released earlier. After the result is announced, the authorities will also announce the cutoff of JEE Main 2019. Login with your Application Number and Date of Birth and enter Security Pin as displayed and Submit. You will see 90 Questions (Physics/Chemistry/Mathematics) IDs for Paper I and 80 Questions (Mathematics/Aptitude) IDs for Paper II They are in sequential order. The ID next to the question under the column ‘Correct Option’ stands for the correct Answer Key to be used by NTA. If you wish to challenge this option, you may use anyone or more of the Option IDs given in the next four columns by clicking the check box . After clicking your desired option, both for Physics/Chemistry/Mathematics for paper I and Mathematics/Aptitude IDs for Paper II scroll down, ‘Save your Claim’ and move to next screen. You will see a display of all the Option IDs you have challenged. You may want to upload supporting documents in which you can select ‘Choose File’ and upload (all documents to be put in a single .pdf file). 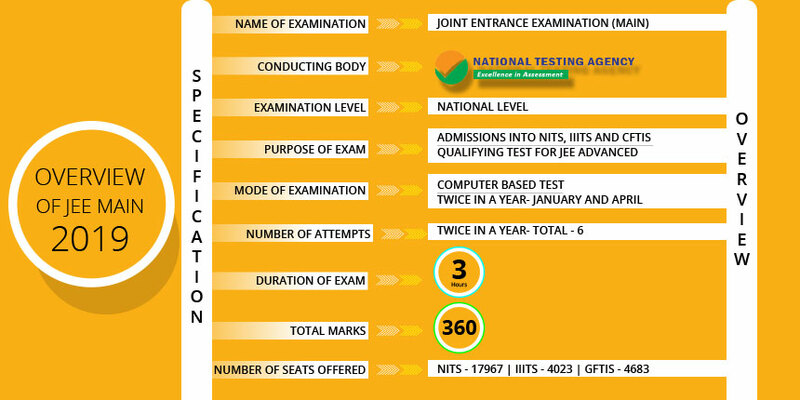 The National Testing Agency (NTA) conducted the Joint Entrance Examination Main (JEE Main) 2019 twice in a year for undergraduate engineering admissions into NITs, IIITs and GFTIs. JEE Main applications for the April exam was available from February 8th to March 7. There was no change in the syllabus, exam pattern, fee or language of the exam. To know all about the new JEE Main 2019 exam process, dates, salient features, pattern, syllabus and more, read the article below. Around 26673 seats will be available to eligible candidates. JEE Main 2019 is a national level engineering entrance examination for which approximately 12 lakh candidates register annually. What’s New in JEE Main 2019? National Testing Agency (NTA) will be conducting the exam twice a year – January and April. Age Limit has been removed and candidates who have passed their class 12 in 2017, 2018 or are appearing in 2019 can apply irrespective of their age. The application fee for JEE Main 2019 has been reduced across categories. 1.5 lakh common service centres can be used by candidates to fill the application, pay fees, upload documents, download admit card and all such activities at a nominal fee. 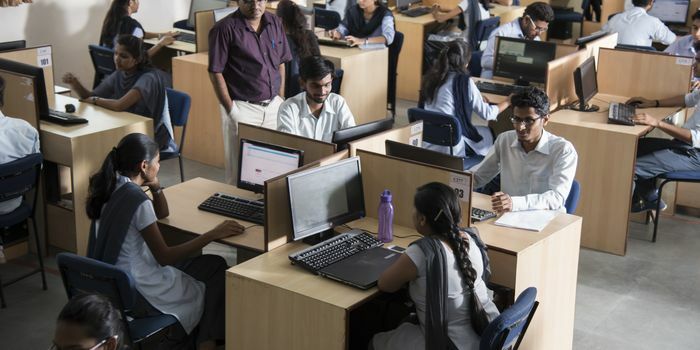 The exam will be computer-based from 2019 held in two shifts per day. with drawing section of Paper 2 being a pen and paper-based test. More than 3400 Practice centres can be used by students for practice purposes after registration. Candidates can appear in January and April. The better of the scores will be considered for admissions. Number of test cities in India are now 264 while centres abroad are 9 (Dhaka is no longer an option). To be eligible for JEE Main 2019 Paper II, candidates must have scored at least 50% individually and in aggregate in Physics, Chemistry and Mathematics in 10+2 or equivalent. NTA will be announcing the result of JEE Main 2019 April session on April 30 (Paper I) and May 15 (Paper II). The subject wise scores along with the total score secured in the examination by the candidate will be mentioned in the result. Earlier, authorities had announced the result of JEE Main 2019 January session in online mode on January 19 for Paper 1 and January 31 for Paper 2. According to NTA official release, two candidates have received 100 NTA score in January 2019 examination in Paper-2: B. Arch. /B. Planning. After checking the result, download the score-card. NTA has released the answer key of JEE Main 2019 on April 14. Candidates have to log in using the application number and password/date of birth to download the official answer key and view their question paper and response sheets. The facility to challenge the answer key is also made available last by April 16 up to 11:50 PM.Some of the coaching centres like Resonance and Career Point have released their answer keys after the conclusion of the exam. The recorded responses of the candidates will also be released. Using the JEE Main answer key 2019, the candidates will be able to calculate their probable scores before the results are announced. Some coaching institutes will also release their own answer key after the conclusion of the examination. It has been announced that the challenge fee will be refunded to those candidate's whose challenge will be accepted by the authorities. How to access final JEE Main 2019 Answer Key? How to access provisional JEE Main 2019 Answer Key? JEE Main application number and password/date of birth has to be submitted to access the answer key. Comparison between the candidates’ response and the correct answers has to be done to calculate the probable scores. How to challenge JEE Main Answer Key 2019? Visit the official website to challenge the answer key. Click on ‘Challenge Answer Key’ tab and enter the application number and date of birth/password and enter Security Pin as displayed to Login. Click on ‘Challenge Answer Key’ tab. Candidates will see question IDs along with the ID of your responses and the correct answer. After choosing, click on ‘Save your Claims’ and move to next screen. You will now see a display of all the Option ID (s) you have challenged. Candidates may upload supporting documents in which they can upload by clicking on ‘Choose File’ and uploading the documents. Click on ‘Save your Claims and pay Fee’. Pay the processing fee by clicking on ‘Click here to Pay Fee’. Select Mode of Payment and Pay processing fee @ Rs.1,000/- for each question challenged. Payment can be made through Debit/Credit Card/Net Banking. In case the challenge is found correct, processing fee will be refunded in the same account. The important dates of JEE Main 2019 have been listed out in the table given below for candidates to track the events. Registered candidates could download the admit card of JEE Main 2019 for April exam from March 21, 2019. 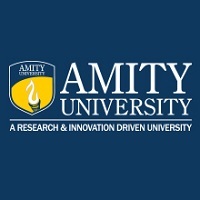 The admit card consisted of all the details regarding the examination venue, timings, roll number, personal details of the candidates and more. Since the exam slot was allocated randomly, the admit card also contained details of the exam date and the shift assigned. JEE Main 2019 admit card is an important identity document and candidates had to present it while reporting for examination at the allotted centre. Inability to produce the admit card of JEE Main 2019 may lead to disqualification of the candidate. Candidates also had to take a photo id proof (College/ School ID Card, Driving License, Passport) to the exam centre along with the admit card. When the admit card was displayed on the screen, the candidates had to check for any discrepancies. In case of any error, the candidates had to report immediately to the JEE Main Secretariat. After downloading the admit card, the candidates had to print it out. What to carry along with the JEE Main 2019 Admit Card? One passport size photograph (same as uploaded on the JEE Main Online Application Form). Candidates had to paste this on the specific space in the attendance sheet at Centre during the exam. Any one of the original, valid and non-expired authorized photo IDs – PAN card/ Driving License/ Voter ID/ Passport/ Aadhaar Card (With photograph)/ Aadhaar Enrolment No/ Ration Card. The eligibility criteria of JEE Main 2019 lists out all of the conditions and requirements that the candidates have to meet to apply for the exam. Candidates can check the same in detail below. The candidates should have qualified 12th standard (or equivalent) examination in 2017 or 2018 or must be appearing in 2019. Candidates should have just qualified their 12th standard examination. Twice a year. Candidates can attempt for three consecutive years @ two per year. For Paper II (B.Arch) - The candidates should have completed the 10+2th standard exam with 50% marks in Physics, Chemistry and Mathematics and in aggregate in class 12 or equivalent. JEE Main 2019 application form has been closed on March 7, 2019. Candidates who appeared for the January session were not required to register again. Such candidates could use their January credentials to apply for JEE Main 2019 April session. These candidates were required to pay fee to apply for JEE Main 2019 for April session. Payment of application fee and uploading of photo and signature was allowed till March 8, 2019. Candidates were advised to check the status of their JEE Main 2019 application form and print their confirmation. JEE Main 2019 application form correction facility was available from March 11 to 15. The application form of JEE Main 2019 for the January exam was available from September 1 to October 1, 2018. Common Service Centres - Candidates could also go to any of the 1.5 lakh common service centres set up to fill the application form, pay the fees, upload documents, download admit card and more at a nominal fee + GST. What to Keep Ready before filling JEE Main Application Form 2019? Registration – Firstly, the candidates had to register using their name, date of birth, identification ID and more details. Uploading of Scanned Documents – The required documents had to be submitted by the candidates. 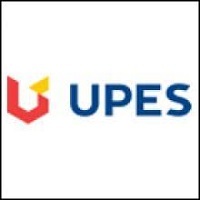 Payment of Examination Fees – The fee had to be paid in online or offline mode. Print out of Acknowledgement Page – Finally, the four copies of the acknowledgement slip had to be downloaded and printed out by the candidates. The payment status was updated after the fee was paid by the candidates. For candidates opting the offline mode, a reprint of the e-challan could be taken out their the SBI online website after submitting the required credentials. A total of 264 centres in India and 9 abroad have been announced in the JEE Main 2019 brochure. Candidates had to choose the exam centres while filling the online application form of JEE Main. All of the details regarding the exam centre was available in the admit card. JEE Main 2019 is a national level engineering entrance examination which has a high difficulty level. To prepare well, the candidates should be aware of the exam pattern, syllabus before formulating a plan for preparation. The trick is to build on strengths namely topics that are well known and familiar while learning those that are not known or where one is weak. In addition mock tests are an integral part of JEE Main Preparation where candidates must attempt one regularly to understand their levels of preparation and improve if needed. The exam pattern of JEE Main 2019 allows candidates to know the language, number of questions, type of questions that will be asked and marking scheme of the exam. By knowing the pattern beforehand, the candidates will be able to have an idea about how the exam will be conducted. 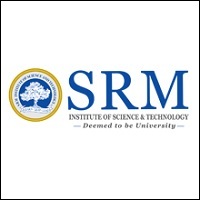 The syllabus of JEE Main 2019 is the same as in the previous years. Candidates can know which chapter and topics to study for the examination through the prescribed syllabus. Topics from Physics, Mathematics and Chemistry of class 11 & 12 will be present in the syllabus for JEE Main 2019 Paper I. For Paper II, the syllabus will consist of Mathematics, aptitude test and drawing. Before preparation, the candidates are advised to check the detailed syllabus, since this will allow them to know which topics are likely to come and accordingly prepare their schedule. NTA has opened the registration for Test Practice Centres to access the JEE Main 2019 mock test. Candidates can also download the mock test and practice at home. The mock tests are available in the three languages- English, Hindi, Gujarati. Since the mock test will have the same structure as the JEE Main 2019 examination, the candidates will be familiar with the pattern and analyze their preparation. How to register for Practice Centre? Step 1 - Personal Details: If you are logging in from your Google or Facebook account, your name will visible on the screen, by default. Enter date of birth, age, Father's name and gender. Upload both passport size photo and a photo ID proof. Step 2 - Contact Details: Provide the email address, mobile number, residential address, city and pin code. Select state and district from the dropdown list. Step 3 - Academic Details: Here, enter the school or institute last attended or attending. Enter Enrollment Number too. Step 4 - Exam Details: Select the exam interested in from the dropdown menu and mention the number of attempts taken for that particular exam. Click on submit button. 2:30 p.m to 5:30 p.m.
NTA will be releasing the rank list of JEE Main 2019 after April 30. The scores obtained by the candidates will be evaluated and ranks allotted. The better of the two scores of candidates who have appeared for both the January and April exams will be considered ranking purposes. The All India and Category Ranks will then be announced. During allotment, the position of the candidate's JEE Main rank will be considered. Since the examination is being conducted in slots, the authorities will adopt a normalization procedure to calculate the percentile score of the candidates. 100 x Number of candidates appeared in the "Session" with the raw score equal to or less than the candidate divided by total number of the candidates appeared in the "Session"
The cutoff of JEE Main 2019 acts as a screening process for admissions. The minimum marks required to be qualified for JEE Advanced will be available in JEE Main 2019 cutoff. The cutoff will be different according to the category of the candidates. Joint Seat Allocation Authority is responsible for the counselling of JEE Main 2019. Candidates who qualify JEE Main examination will have to apply for counselling through JoSAA which is a centralized process for allotment into NITs, IIITs and GFTIs. The registrations for JoSAA 2019 will commence tentatively in the second week of June. Candidates will be allotted seats according to their eligibility, merit, preferences selected and availability of seats. Candidates will be able to apply for NITs, IIITs and CFTIs through JEE Main 2019. Allotment of seats is done in these institutes on the basis of JEE Main score. Excluding these premium institutes, many state colleges and private institutes also provide admissions based on JEE Main scores. States like Haryana, Nagaland, Uttarakhand, Madhya Pradesh and Odisha accept admissions according to the candidates’ scores in JEE Main. Q. JEE Main 2019 will be online only? Can I apply for the offline exam? A. JEE Main 2019 will be a Computer Based Test and will be conducted through Online mode only. There is no offline exam. Q. what is the eligibility to appear for JEE Main 2019? Will it change for April attempt? A. Candidates who have passed their Class 12th Examination or equivalent in 2017, 2018 or are appearing in 2019 are eligible to appear in JEE (Main) to be held in January and April 2019. Candidates who had passed Class 12 in 2016 or before are not eligible. Similarly candidates who will appear for the Class 12 in 2020 or later are also not eligible to appear in JEE (Main)-2019. Q. Which attempt is considered? If I appear for class 12 in 2016 but have given my improvement in 2017, am I eligible? A. No you are not as the first attempt is considered and that is 2016 in your case. Q. What is the age limit for JEE Main 2019? A. The Age Limit clause has been removed by NTA for JEE Main 2019. However, the restriction in eligibility comes from the passing year which says that candidates who have passed in 2017, 2018 or 2019 are only eligible. Q. If I have failed in my class 12 in 2016 but passed in 2017, can I still appear for JEE Main 2019? Q. What is the state of eligibility? Is it the same as domicile? A. The state of eligibility is the state where a candidate has studied his/her class 12 or equivalent. So it has got nothing to do with the domicile of the state to which the candidate belongs to. Q. What is the state of eligibility for the Improvement Candidates /Institution Abroad/NIOS? A. The state of eligibility in case of improvement candidates will be the state in which they first attempted their class 12 and not the state in which improvement was written. In case of candidates from institutions abroad, the state of eligibility will be based on the permanent address mentioned in the passport. In case of NIOS candidates, the state in which the NIOS study centre is situated will be the state of eligibility. The state of eligibility is not applicable for the candidates belonging to Nepal /Bhutan/Foreign/OCI/PIO. Q. Are there any provisions for candidates who are persons with disabilities ? Only the visually challenged candidates with 40% or more disability, will be provided Scribe/Reader on their written request. In no case, candidates will be allowed to bring their own scribe. Such candidates will have to submit the written request to the Centre Superintendent for the same at least one week before the examination date. The Centre Superintendent will identify the scribe/ reader students appearing in class X to aid the candidates with disabilities. Candidates will be allowed to meet the scribe one day before the exam in case the candidate writes requesting a meeting. Q. How many times a student can appear in one year for JEE Main? A. From 2019 onwards, candidates are eligible for two attempts – January and April. The number of attempts in the academic year will be counted as one. Q. How many times in total can a candidate appear for the exam? A. Each candidate can appear for JEE Main for consecutive three years. Since the new format has two attempts, candidates can appear for a total of six attempts going by the rule book. Q. I am diploma holder. Can I apply for JEE Main? A. In fact diploma holders can appear for JEE Main Paper 1 only to qualify for JEE Advanced. They are however not eligible for admissions through JEE Main Paper I.
Q. The scores will be on the basis of the candidate’s performance. But with multiple sessions, how will the score be equalized? What will ranks be awarded on? Q. I forgot to mention my name and date below the photograph? Will I be able to write the exam? A. The candidates will not be penalised for uploading the photograph without name and date. Therefore, you will be able to attempt the examination. However, the candidates are requested to follow the proper guidelines. Q. When can I book the exam slot for JEE Main? A. NTA will need to determine the score on the basis of two attempts made by an equal number of candidates. Hence the option to book the slot has not been given to students. NTA will only allot the slots to candidates. Q. Has the JEE Main 2019 Syllabus or exam pattern changed? What are the new changes? A. No there has been no change in the JEE Main Syllabus or exam pattern. The change is simply in the mode of exam from offline to computer based. Q. How can I check the status of my JEE Main 2019 examination fees? A. The status of fee payment can be checked by logging in. While it is advised that candidate’s take a printout of the Confirmation Page after payment and submission, they can still do so by logging into the JEE Main website and their login account. If the status is not updated, the following steps must be undertaken. For payment through e-challan – Candidates should immediately contact the concerned bank to update their fee status on the website. For online payment, Candidates are advised to wait for 48 hours. In case it is still not updated, then candidates must assume that it is not paid and must re-pay again. The fees paid earlier will be refunded within 7 – 10 days. Q. I have made a mistake in my JEE Main application. Shall I fill another form? Q. Can I use calculator in JEE Main? A. No. Candidates are not allowed to carry calculators or any other electronic device while appearing for the exam. Q. I have no access to a computer. I also have no experience with an online examination. How can I prepare and write JEE Main? A. NTA has identified and opened 3400 practice centres in schools, colleges with internet and computer facilities. Candidates will have to book their practice slots at the NTA website for a day of their preference. They can register for five sessions at one go. Once those are done, they can further register for more. These practice centres are open on all days and throughout the year. Q. Is there any specific Browser that has to be used for applying for JEE Main? A. It is advisable to use Mozilla Firefox/Internet Explorer (above 9.0) while filling the JEE Main application form. Whenever there is continuous time out or problems in loading the webpages, candidates are advised to clear cookies and history of the browser and fill in off-peak hours. Q. Should I write JEE Main 2019 both the times? Or can I write it only once? Will I lose out if I do that? A. No it is not necessary to appear in both the attempts of JEE Main. It is entirely optional. When any candidate appears both the times for the entrance exam, the better of the two scores will be used to rank the candidates but when a candidate appears for only one attempt, the scores for that attempt will be used for the ranking purposes. Q. Will there be any changes in the JoSAA counselling process on account of the changes in JEE Main? A. No, there is no change in JoSAA counselling process. It will remain the same as before.